On the 6th of February the annual ‘Career Day’ took place; a day organised by Wageningen University & Research to link (graduated) students to companies active in the agri & food sector. We received more than 40 job and internship vacancies. Many bright graduates were connected to companies thanks to our startups! 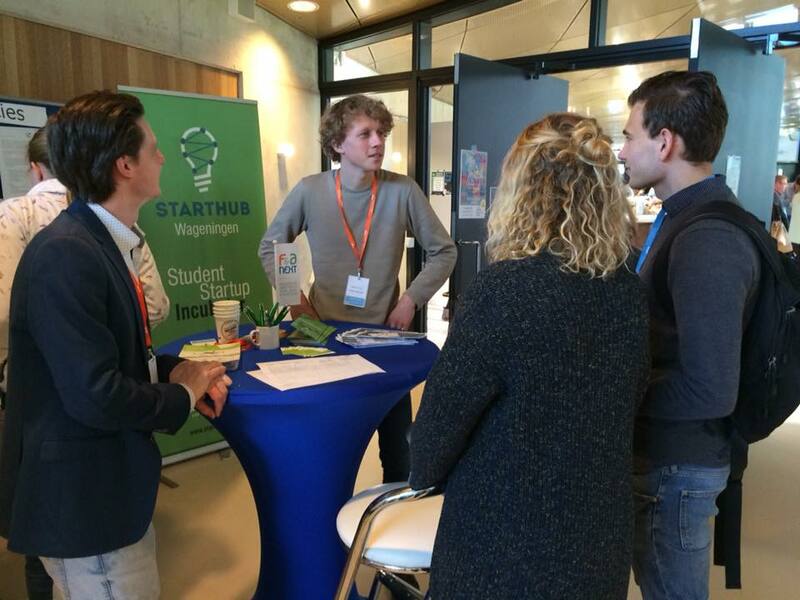 “Being present at the Career Day made us aware of the quality of students from Wageningen. Moreover, we learned what kind of job we could offer to students, like the extent of flexibility and the terms of employment”, said Sander Peltenburg, co-founder of BurgsFoods. BurgsFoods develops delicious and healthy cricket based food products. Sander and Anne Luz Pijnenburg from BurgsFoods were one of the startups present at the Career Day. They were glad they could get in touch directly with the applicants of their job openings. Startups are always welcome to share their (internship) job openings. Just send us an email!